Looking to have a greener wardrobe? Check out bamboo clothing. Inside that tough, hard bamboo cane are plant fibers that can be processed to make fabric. The bamboo cane has been used by many cultures throughout the years for housing, flooring, fencing, furniture and more, while the fibrous inside has been used to make paper and now clothing. The idea for bamboo fabric is a new process developed at the Beijing University in 2001. The process which has been improved upon in the last few years has created an interest in bamboo clothing in particular by those interested in finding more sustainable fabrics. Bamboo is considered the fastest growing plant on earth. It is mainly grown in China but other countries such as Ecuador, Australia, India and Columbia are looking to establish commercial and small bamboo plantations. It is a treelike plant that is really a member of the grass family. Certain varieties of bamboo can grow 1 to 4 feet in one day and it can spread rapidly by rhizomes (roots) underground and become invasive. Bamboo can be harvested in 3-4 years. The growth characteristics of bamboo make it a valuable resource. Fast growing and quick spreading, it improves the soil and stops erosion. Bamboo can be grown without fertilizers or pesticides since it is naturally disease and pest resistant. When I think of bamboo I think of the Giant Panda. I had to wonder if any of this would have an impact on the them after all their favorite food is bamboo. The Giant Panda is found only in China. The WWF(World Wildlife Foundation) is in partnership with China and they have set in place a conservation plan that at this time has increased the protected habitats to 50. From my understanding, the big interest in bamboo is for particular varieties that are better for flooring or clothing and these are not varieties that the Panda eats. I am hoping that increased commercialization of bamboo does not reduce the number of protected habitats set aside for the Panda. While growing bamboo can be very environmentally friendly there is more to consider. When bamboo is processed into fibers, chemicals are used to break down the inside of the plant so that it can be spun into fiber. Some of these chemicals are not considered to be safe for the environment. Some manufacturers use safer chemicals than others to process bamboo and they can be found by looking for cerification. Bamboo clothing that is certified by the Oeko Tex Standard ensures that the chemicals used are the safest and that they pose the least amount of risk to workers and the environment. Look for their logo with companies that sell clothing made from bamboo. It is important to note that the Oeko Tex 100 Standard applies to processing the bamboo into fiber and does not certify how the bamboo is processed after that. Bamboo clothing is soft, breathable and many think naturally antibacterial and antifungal, thanks to “bamboo kun” a substance in the plant that helps it fight off disease and insects. It is thought that some of these qualities are not lost during processing or through repeated washings. Bamboo fabric does not hold on to odors like other fabrics. It’s antibacterial qualities help keep clothing smelling fresher. I have found it to be an easy to care for fabric that needs no bleach or fabric softener and comes clean easily in cold water with eco friendly detergents. 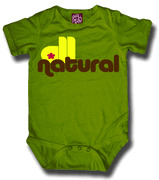 Bamboo clothing has a soft, natural sheen and relaxed look. It is described as a fabric that feels like a cross between silk and cashmere. Bamboo is frequently combined with other fabrics which makes it workable in a variety of styles. The companies below have all been certified by the Oeko Tex standard and process their fabrics with the lowest impact dyes and no bleach. Most use certified organic bamboo. I had to try bamboo so I chose this company and bought a 3/4 sleeve shirt in a bamboo/cotton blend and a 100% bamboo cami.The bamboo blend (pictured right) is a very well made, nice, comfortable shirt. It has become one of my favorite shirts because of it’s soft good looks and ease of care. The other shirt I bought was a 100% bamboo cami (it’s the one in the picture above). The first difference I noticed was that the fabric was a little thinner and finer but very soft. It makes great yoga or sleepwear. I can see how it would be wonderful in baby clothing. Bamboosa also has a wonderful collection of super soft and comfy things for baby. Bamboosa’s concern for the environment shows in their use of low impact dyes for their fabrics to their packing of the product for shipment. 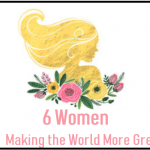 Their clothes are created in a sweatshop free environment here in the U.S.
Green Earth BambooA great selection of women’s clothing from soft wraps and dresses to tops and pants. Here you will also find bamboo clothes for men, babies and kids along with items for the home. Bamboo BodyThis is an Australian company with a little more upscale line of clothing for women. Many stylish designs for women even maternity fashions and some men’s items. I checked out what Amazon had to offer and they carry several brands of bamboo clothing for babies and kids. Not all companies selling bamboo clothes on Amazon are Oeko Tex 100 Standard certified and certified organic bamboo like the two companies with clothing pictured above. Check out the large selection of Midori Bamboo Clothing and Small Plum Clothing.